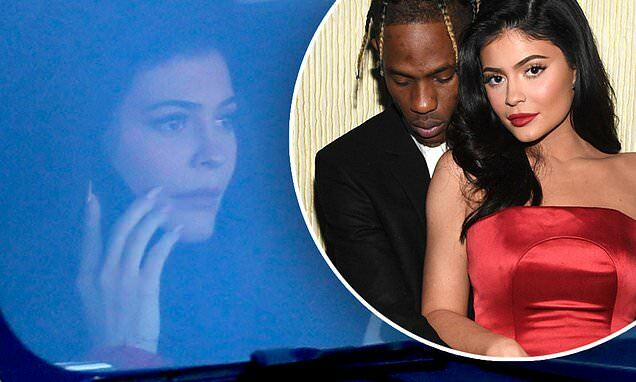 He's deleted his Instagram out of loyalty to Kylie Jenner, so Travis Scott took to a different platform to praise his estranged girlfriend. The 26-year-old Sicko Mode rapper took to Twitter to congratulate Kylie, who was seen driving in Calabasas on Tuesday, on being named the youngest self-made billionaire ever, according to Forbes 2019 list. 'QUEEN,' Travis tweeted along with an image of the 21-year-old beauty. The couple, who share one-year-old daughter Stormi, are reportedly trying to 'work things out' after rumors swirled that Scott was cheating on the billionaire makeup mogul. Social media users seemed split on the meaning behind Astroworld rapper's tweet. Many were in camp Travis saying the 'Queen' tweet was proof he's been faithful to the lip kit star.